Israel Air Force (IAF) fighters on Tuesday night bombed Hamas targets in the Gaza Strip in response to two cross-border shooting incidents earlier in the day in which an IDF officer was wounded. 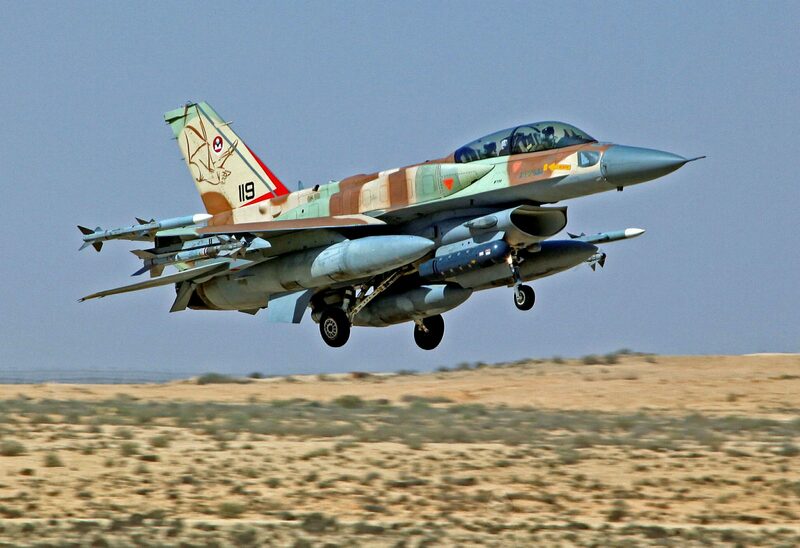 An IDF spokesman stated that IAF jets pounded several Hamas targets at a Hamas training facility in the northern Strip. The strikes were carried out “in response to the shooting attacks against our forces. The IDF considers the Hamas terrorist organization solely responsible for what is happening in and out of the Gaza Strip,” the spokesman said. Two cross-border shooting incidents occurred on Tuesday on the border with Gaza. In the first, terrorists fired at IDF troops operating on the fence. In response, an IDF tank shelled and destroyed a Hamas post. Later on, a Paratroopers officer was lightly wounded by gunfire that hit his helmet. Additionally, five Arab suspects approached the security fence in the southern Gaza Strip. Two of them crossed into Israel and returned immediately to Gaza. The shooting came as hundreds of Palestinians rioted near the Gaza border with Israel and hurled rocks at soldiers on the other side of the fence. The wounded officer was evacuated to Soroka Hospital in Beer Sheva. His head injury was treated in the surgical emergency department, and he was released shortly after. A photo of his helmet shows that the gunfire would have been fatal if he had not been wearing his helmet. Hamas announced after the strikes that it “holds the Zionist enemy fully responsible for the consequences of the escalation and successive attacks against our people and resistance. Hamas was apparently claiming that Israel’s strikes were a campaign gimmick employed by the government ahead of the April election. Hamas has yet to respond to the Israeli strikes. WAFA News, the official Palestinian news agency, reported that a Palestinian identified as Mahmoud El-Abed Nabahin, 24, was killed in central Gaza from an artillery shell fired by Israeli tanks. Gaza’s Ministry of Health said two others were injured, one of them reported in serious condition. They were apparently killed or injured during the second shooting incident.